When severe knee pain does not respond to conservative, non-invasive treatment, surgery can help to relieve discomfort and other associated symptoms. 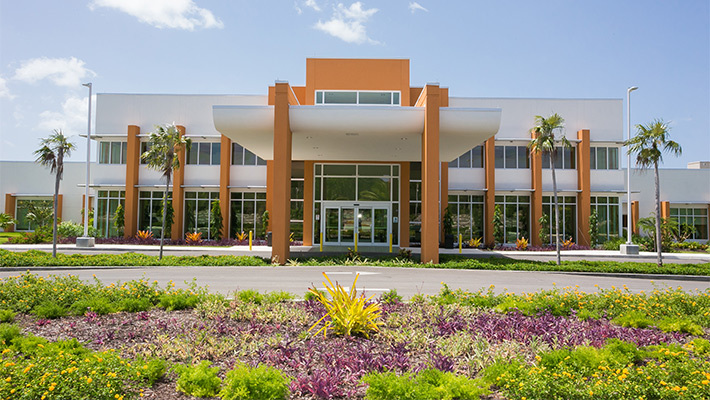 Health City Cayman Islands provides exceptional, patient-centric orthopedic care such as knee replacements, fracture fixation, and revisions to address infection to restore normal function of the impacted knee joint and allow patients to resume an active lifestyle as swiftly as possible. 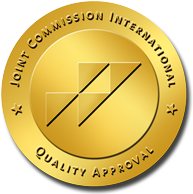 Our JCI accredited facility utilises evidence-based techniques and cutting-edge medical devices, such as computer navigation for joint replacements, to promote optimum patient outcomes. Under the direction of Dr. Alwin Almeida, Senior Surgeon, Orthopedics and Joint Replacement Surgery, thousands of patients are now experiencing freedom from knee pain and increased mobility as a result of the surgical care they received from our team of world-class orthopedic surgeons. Arthroscopy is used ​to ​diagnos​e​ and repair​ meniscal injuries, restore anterior cruciate ligament ​(ACL) ​​or posterior cruciate ligament (PCL) tears, remove debris, perform lateral release and treat microfractures near the joint.​ This type of minimally invasive surgery is precise and controlled, resulting in minimal intraoperative trauma, reduced scarring, and quicker postoperative healing time. This is a minimally invasive procedure in which a tiny camera is inserted into the knee joint in order to treat conditions, such as injuries to the ACL and PCL, other tendon and ligament tears, and osteoarthritis. Compared to x-rays, this procedure yields a great deal of useful information about underlying pathology of the knee joint since the structures can be directly visualized. We offer several different types of arthroscopic procedures. Lavage is the therapeutic cleaning out of contents such as blood, excess fluid, or loose debris that are causing pain or interfering with the function of the knee. If the patient suffers from osteoarthritis of the knee and nonsurgical treatments have failed to provide relief, viscosupplementation may be an option. A gel-like fluid is injected into the knee joint, acting as a lubricant to enable bones to move smoothly over each other. This reduces pain and improves motion. Using surgical instruments inserted through tiny incisions, the surgeon takes a tissue sample from the inside of the knee in order to examine it for diagnosis and further treatment. 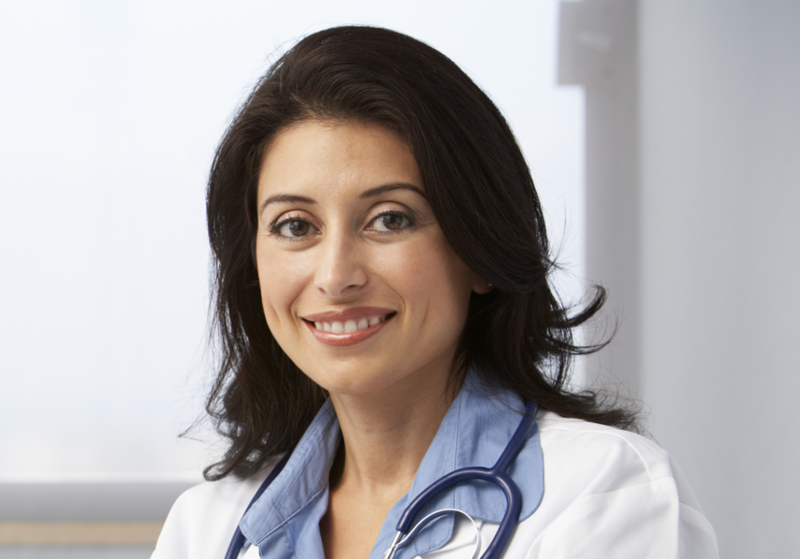 This procedure is used to treat disability and pain related to arthritis. If nonsurgical treatments have not provided relief, synovectomy can help reduce pain and swelling. In this procedure, the joint lining damaged by rheumatoid arthritis is removed to reduce pain and swelling. Articular cartilage is the smooth, white tissue that covers the ends of bones where they come together to form joints, enabling movement. When this cartilage is damaged by injury or normal wear and tear, it causes pain, impairs function, and can lead to the onset of arthritis. Microfracture stimulates the growth of new cartilage by creating a new blood supply. A sharp tool called an awl is used to make multiple holes in the bone beneath the cartilage. This enables a new blood supply to reach the joint surface, generating a healing process in which new cells form cartilage. This procedure addresses lateral tilt, which is when the front part of the knee (the patella) is unable to sit in the joint normally and is tilted toward the outside of the knee. This causes pain every time the knee is bent. During arthroscopy, an internal incision is made to release tension on the knee tissue and allow the patella to return to its normal position. Arthroscopic arthrolysis is used to treat arthrofibrosis, an uncommon but potentially debilitating complication following total knee replacement. It can result in chronic pain and poor recovery of range of motion. Arthroscopic arthrolysis is performed to release fibrous bands, thereby reducing pain and improving motion. This is a minimally invasive procedure in which a tiny camera is inserted into the knee joint in order to diagnose conditions, such as injuries to the ACL and PCL, other tendon and ligament tears, and osteoarthritis. Compared to x-rays, this procedure yields a great deal of useful information about underlying pathology of the knee joint since the structures can be directly visualized. This procedure examines and repairs the meniscus of the knee, the two concave-shaped cartilage pads of tissue that cushion the knee joint, located between the thigh bone (femur) and shinbone (tibia). A torn meniscus is commonly related to sports in which there is forceful twisting or hyper-flexing of the knee joint, often when the foot is planted. In a partial meniscectomy, unstable meniscal fragments are removed, and the remaining meniscus edges are smoothed so that there are no frayed ends. In a total meniscectomy, the entire meniscus is removed. This surgical procedure anchors the medial meniscus when it has torn from its attachment to the bone. This is the ligament that runs diagonally across the middle of the knee, providing stability to the knee when it rotates. The ACL prevents the shinbone (tibia) from sliding too far forward underneath the thigh bone (femur). It also helps prevent over-straightening and over-rotation of the femur on the tibia. The ACL is actually two functional bundles of ligaments. Surgical repair can be performed on one of both bundles. Arthroplasty procedures are typically reserved for conditions that require more extensive rebuilding of the knee joint, or degeneration of the joint that has resulted in painful bone-on-bone contact. We provide numerous options for those requiring knee replacement surgery, and will help you decide which procedure is the most optimal. This innovative, highly flexible implant design is used in patients who require ‘high-performance’ knee replacements that provide more knee motion for demanding physical activities and sports. In this procedure, a more extensive portion of the back of the knee is removed so that the patient can bend it farther. The longevity and performance of a knee replacement depends on several factors, including the patient’s activity level, weight, and general health. Wear and tear on the knee implant may require a second surgery, called a revision. Fractures around implants pose unique fixation challenges. Fractures may occur due to the original placement of the knee implant, changes to bone structure around the new knee, or improper initial healing around the implant. These fractures can be surgically repaired or stabilized. While infection only affects an estimated 1% of knee replacement surgeries, it is considered among the most devastating complications of this procedure. A widely used and successful approach is a two-stage procedure in which the original implant is removed and the infected tissue is debrided. After the patient recovers, a spacer is placed in the knee joint for a period of 6 to 8 weeks, during which the patient receives antibiotics. A second procedure is carried out and a new prosthesis is inserted. The posterolateral corner of the knee is a complex area of the knee formed by the interaction of multiple structures. Injuries to the posterolateral corner can be debilitating to patients and require prompt diagnosis and treatment to avoid long-term consequences. These injuries can be sustained concurrently with ACL and PCL injuries. Surgery is done to repair or reconstruct the corners. The knee has four major ligaments, which connect bone to bone and provide stability to the joint. Knee injuries that involve two or more of the four major knee ligaments are usually caused by automobile accidents, falls, or high-impact sports injuries. The type of surgery performed depends on the extent of ligament damage and the specific ligament involved. The ligaments can be reattached to the bone or reconstructed, depending on the injury.